The National Sleep Foundation has rated snoring as affecting over 90 million adults, and 37 million adults regularly. Other statistics for snoring find that when comparing men to women (before they enter menopause) that men are twice as likely to snore. After a woman enters menopause, the numbers seem even out. So why is this such a big deal? Isn’t snoring just a comical bodily function that is joked about in sitcoms and in comic books? While snoring does sound “funny”, it’s something that should be taken a lot more seriously in our society than it currently is. Many of us know by know that snoring can be a sign of the more serious disease Sleep Apnea, but what you may not know is that snorers are three times more likely to develop bad health conditions than non-snorers. In addition to health issues, snoring can negatively impact your relationship. In a recent National Sleep Foundation Survey, nearly 25% of couples reported sleeping separately due to sleep issues, such as snoring. While the health problems that arise from snoring are discussed at length (heart disease, stroke, Type 2 diabetes, high cholesterol, etc) other ways that snoring affects your life, i.e. your relationship, are not. This article discusses how snoring affects your relationship and exercises to stop snoring, as well as non-surgical solutions to stop snoring in Idaho Falls. If you or your spouse is snoring, Comfort Sleep Solutions offers a complimentary consultation to help answer any questions you may have and to see if your snoring is a sign of something more. Contact us today to schedule an appointment. the non-snorer tries to sleep, but never can get into a deep, restorative sleep. All of these above scenarios caused by snoring, increase tension in a relationship, causing friction and even resentment, as well as intimacy issues. A study by Ohio State University shows that couples who get less than 7 hours of sleep a night fight more than couples who get more sleep. Additionally, a lack of sleep has been shown to make people feel more irritable and can interfere with their judgement, and can cause couples to feel more selfish and less appreciative of each other. It’s obvious that snoring is a serious emotional, mental, and physical problem anyway you slice it and is something that should be treated as soon as possible. The good news is that there are many options to stop snoring in Idaho Falls, including exercises and non-surgical snoring solutions offered by Comfort Sleep Solutions. Additionally, stopping snoring for good is something you and your partner can do together. Contact Comfort Sleep Solutions today. Push the tip of your tongue against the roof of your mouth and slide the tongue backward and forward. Repeat 20 times. Even singing daily or playing a wind instrument, such as a flute or clarinet can help to strengthen the airways. Strengthening your airway is effective in treating snoring and sleep apnea since both can be caused by a collapsing airway. In addition to snoring exercises and lifestyle changes such as losing weight, setting a bedtime routine, and reducing alcohol intake, there are non-surgical solutions to stop snoring like a CPAP or an oral appliance. 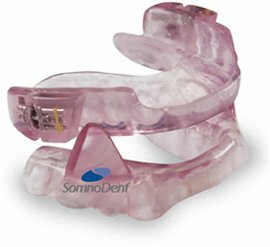 Oral Appliance – At Comfort Care Solutions we can fabricate a customized oral appliance that is specifically designed to open your airway and decrease the severity of sleep apnea, as well as reduce or even eliminate snoring. Medicine.” There are many different types of machines and brands to choose from, your sleep professional can help you decide which machine will work best for you. Since snoring can’t be cured overnight, you may want to also try alternate avenues to help your relationship like couples therapy. This can help you both to understand each other and may help keep your relationship strong while you find a solution to your snoring. In addition to seeking out a counselor, contact Comfort Sleep Solutions today to see what options are available to you. We will perform a sleep study at your earliest convenience so that together, we can begin to help you stop snoring permanently.